Brian Howard Quoted in LinkedIn Article – Assessing Your Career: Determining a Path to Your Next Professional Destination. 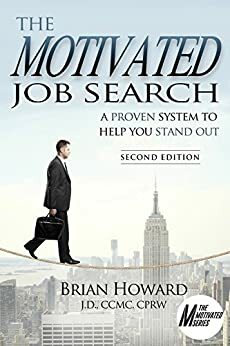 | The Motivated Job Search The Motivated Job Search – Brian Howard Quoted in LinkedIn Article – Assessing Your Career: Determining a Path to Your Next Professional Destination. Brian Howard was recently quoted at length in an article published on LinkedIn by Jessica Hernandez, a highly accomplished executive resume writer. The article is entitled – Assessing Your Career: Determining a Path to Your Next Professional Destination.